Get ready to be inspired with the Swiss Army For Her Collection. We captured the unique spirit of Switzerland and blended it with the delicate smell of vivid flowers. Then we added a dash of romance and a pinch of spice from around the globe. A fragrance that lets you bloom with confidence and feminity. This fresh and versatile fragrance will be adored by the active, contemporary woman seeking a stylishly natural, floral scent to carry her throughout the day, wherever she may be. 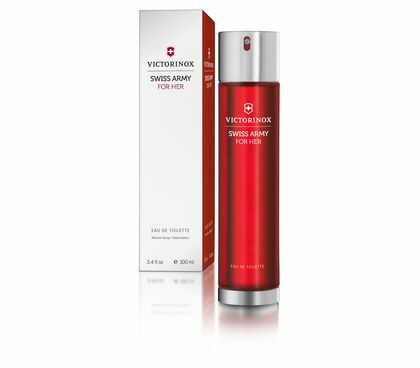 Swiss Army For Her is a lusciously floral scent combining the delicacy of nature with the fast flow of life. The woman who wears it blooms with femininity and confidence, inspired by romance and adventure.